UMass Amherst has developed a plan to reduce the environmental impact of campus life and operations. The campus is continually exploring new ways to reduce campus emissions. The Climate System Research Center brings together graduate students, post-docs, research scientists, and university faculty interested in the different aspects of climate. UMass Amherst NECSC is part of a federal network of eight Climate Science Centers created to provide scientific information, tools, and techniques relating to climate change. UMass Amherst has developed a comprehensive energy plan that maps out the next 10 years of energy usage for the campus. The CHP has helped to significantly reduce the campus’s greenhouse gases. The university designates millions of dollars for energy conservation projects that upgrade or replace inefficient physical structures and technologies on campus. 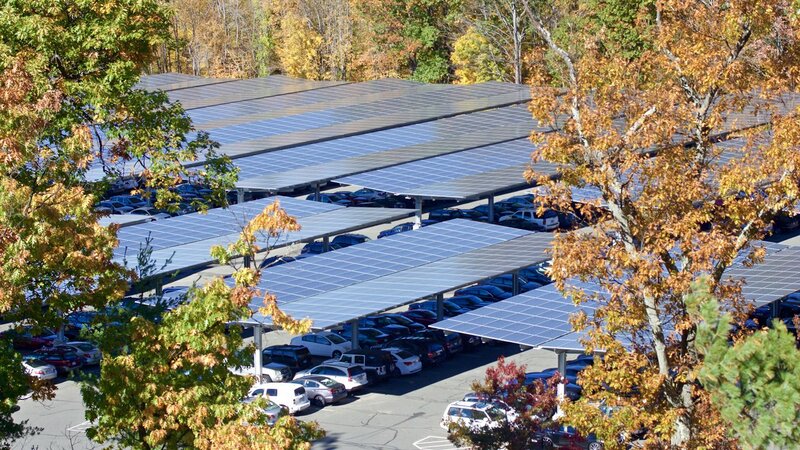 The university has installed over 5.5 MW of solar capacity across campus on rooftops and over parking lots. The Center has worked diligently to maintain and enhance wind energy education programs and research activities.